BERLIN (Bloomberg) -- Volkswagen AG said deliveries advanced 11 percent last month, helped by increased sales in China and the United States. August sales gained to 545,000 vehicles from 490,600 a year earlier, the carmaker said. July deliveries climbed 2.9 percent. Eight-month sales rose 13 percent to 4.7 million cars and sport-utility vehicles. Volkswagen is targeting a second consecutive year of record deliveries as it adds 70 models in 2010, including the Audi luxury brand's A1 and A7 cars. Second-quarter net income of 1.25 billion euros ($1.6 billion) was the carmaker's biggest profit in two years, fuelled by demand in China. VW plans to double production capacity in China to 3 million vehicles in four years. The carmaker forecasts a second-half slowdown. Sales in China, VW's largest market, expanded 41 percent in the first eight months to 1.29 million vehicles, while U.S. deliveries increased 22 percent to 239,000. European sales grew 1.4 percent to 2.2 million from January to August, bucking the trend in a market down 2 percent. In Russia volume increased by 21.9 percent to 79,800. VW saw growth in all major West European markets, except Germany where eight-month sales fell by 19.4 percent in a market down 28.7 percent. 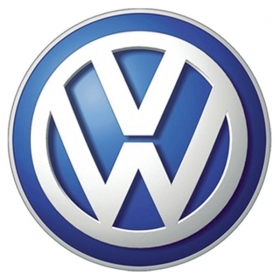 VW brand eight-month sales were up 13.4 percent to 2.98 million. Audi sales grew 17.9 percent to 726,600 while Skoda volume was up 13.2 percent to 493,200. Seat saw only a modest rise of 1.1 percent to 231,100 with a strong increase of 26.5 percent in its home market of Spain, where it delivered 69,100 units.